This has been my first real build and I'm really happy with how it turned out. Wanted a clean, white, aesthetically pleasing pc that would primarily be used for full blown 1080p gaming. The PSU shroud in this case is originally black but I wanted it to accent nicely with the white components. I attempted to do this by taping off everything else and painting it with white Plasti Dip. I was not happy with the way it turned out, looking grainy and when dirty when I took a photo with the flash on. (DISCLAIMER: PLASTI-DIP DOES NOT PEEL OFF THE TEXTURED BLACK SURFACE THE SAME WAY IT WOULD PEEL OFF CLEAR COAT.). The PSU shroud can not be unscrewed and removed. I ended up drilling out the rivets that hold the PSU in place to remove it, simple process. Once removed I used paint thinner to remove the Plasti-Dip which proved to be a much faster process. I used automotive paint and a clear gloss finish which gave it a much cleaner look. Riveted it back in and bam. Anywho, system performs great. Run all games so far on ultra with no problems. Star Wars Battlefront 70+ FPS on Ultra settings, FXAA maxed out, CPU under load never got past a breezy 51 degrees C. .
Na was just tired and coffee hadn't kicked in yet. Best comment so far for sure hahaha. great job thumbs up...if you want a gpu backplate checkout this site http://www.coldzero.eu/495-asus-gtx-1060-dual!!!!! Thanks! yea I'd like to get one soon. 9I love this gpu as it's the only white 1060 I could find but I breaks my heart it doesn't have a back plate. Nice build though bud! Oh it's in the works! Clean build,well done.I love custom works. btw which led are you using.? I haven't had any issues with them aside from the 3M tape not wanting to hold, but thats more of a LED strip issue in general. I ended up using a couple spots of hot glue and it holds just fine. For $15-$16 cant really complain. Still fades through all the colors like the more expensive versions. here is the link bud. Thank you so much for the detailed reply.I live in Greece(Europe) so we don't have newegg,i guess i have to order a Chinese one.It's just that i don't really trust chinese products so much. No problem, those kits are pretty common so you should be able to find them on ebay or amazon too. I am not a big plasti-dip fan. But like you said, it works better on smooth surfaces. Good decision painting the PSU with real paint. That will last the life of the power supply which will hopefully be the life of your machine. Nice build! I do the same thing to my pc. Need to drill some rivets to do my mods. And ended up pretty well tho :) Maybe i will publish my build a month later, i still got something to finished. Nice build Man. I love the White S340. Where did you get your cable extensions? They are by Phantek, I got them on Newegg. I dont recommend these though just because they look kinda dirty under close inspection. I took a look at some by Silverstone and they are a much brighter cleaner white. They are also sold on Newegg. I will be replacing them soon. Alright. 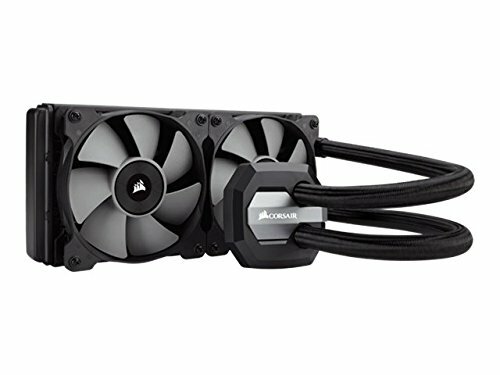 I was debating on buying the Corsair braided cables, or going through CableMod. You painted the interior as well correct? yes, well just the PSU shroud at the bottom. I have one Phanteks and one Silverstone, and they looked identical (2017 version). Also the Phanteks came with a comb while the Silverstone didn't. Had to use zip tie under the psu shroud. What kind of the extension cables did you buy for the graphics card? It's actually a 6 pin connector. Nice color scheme! May i know what fan that is on the evo? Really love the white ring. Corsair AF120, bought it as a 2 pack, there is also a AF140 mounted to the ceiling. Great fans, they come with a white, blue or red ring. Added a custom GPU Backplate from V1Tech. Plain for now, trying to decide what to do with it. I just saw it looks awesome! Haha thanks. I just did the mod last week so not many people have seen it. yeah i dont know why. i normaly look to all the new build since im at one ive seen before but seems like i missed it! Say, doesn't the GPU not have a backplate, mine doesn't, and I can't find any on amazon. Where did you get it from? Well I ordered one from V1Tech.com, then I decided to make my own out of acrylic. Thanks man glad you like it. Originally I got one from V1 tech. Which I regret because it was $40. I do a lot of acrylic work and I made my own. If your interested I'd be able to make you a custom one. Yup totally forgot I already replied to this. thanks brotha, i used matte white. this build is about to get a big makeover! stay tuned! is the white backplate on the 1060 dual custom? or does it come standard? It's custom. I make them! is it very difficult to make? not really, It just takes some practice. I do a lot of custom acrylic work for peoples systems. Well I haven't done so but i cant see why it wouldn't. I plan on adding another two 4gb Fury HyperX except white. Eventually and inevitably when games demand more I plan to replace all 4 with 8gb sticks. Id have to look and see if the motherboard while accept it however, just haven't worried about it yet. Thanks, it's Krylon COVERMAXX semi flat white. Flat seems to absorb the white led and make it glow as opposed to reflect other components. The GPU cover was a flat white from V1 tech but I painted that as well because it had sort of a transparent look around the edges that I didn't like. Deepcool makes a GREAT candidate (Dukase V2 White) for the type of case you're talking about. I have it and LOVE it. They go for around $50-$60. I got mine on Newegg for $47 shipped during a special. Nice build Matt! Love the custom paint work to the Hyper 212 Evo. Might have to do something similiar to mine. Also, I found your build while looking for Asus GTX1060 Dual GPU's. How have you liked it so far? Is the Dual version worth the difference from other brand 1060 6GB versions? Or should I just get one of the others and paint it? Thanks! I cant really say whether it is better than other 6gb cards but it was the best looking one for this build. I reviewed a lot of different 1060's and the majority had good reviews. This one comes with a standard OC which is nice though. Its been a beast with everything ive thrown at it without getting very hot. I definitely agree on the looks. I love the look of the Asus Dual line. Any lighting effects? or fan versatility? I might like to look into white fans for it eventually but fans are one thing I wont paint. I feel like it throws the balance off. I'm definitely going to get that backplate. These don't have any lighting effects but it wasn't a make or break for me. None of my fans are painted, to include the CPU fans. I used phanteks, but I recommend Silverstone or Cablemod. Hey! I'm trying to do a similar DIY for the PSU shroud and was wondering what kind of paint you used. Beautiful build. Everything is so spectacularly done. Thank you! I used automotive paint, glossy white. Any brand will do. Just do it in a controlled area where you aren't getting much dust and air flow. One last thing. Did you use a spray paint or did you brush the paint on? Automotive semi gloss white spray paint. Wet sanded it down. One coat primer, 4 coats paint. 24 hour cure. I ordered it from V1tech, game them the GPU model number and the color and style I wanted, then bam! It was made by V1tech, check out their site. So all I was saying was that I went with a non-modular power supply. All this means is depending on someone's build they may have a lot more power cables then they need to power components in a system, and all those cables take up a lot of space under the PSU shroud. A fully modular PSU allows you to connect only the power cables you need for the components you have. For example, the power supply you have selected has a strand of cable with 4 molex power connectors, even though you may only need on or 2, this can take up a lot of room. Does this make sense? Why not get a build up so I can waste my time critiquing it.